I love pumpkins! I love them in soups, pies, pancakes, smoothies, cakes, lattes and so much more! Once you learn how to cook pumpkin and make your own pumpkin puree, I promise you’ll never want to go back to canned pumpkin. You know what they say fresh is best! If you’re using canned pumpkin for your pies and recipes, you’re missing out on a lot of flavor (and a gorgeous color!). Here are my tips for preparing fresh pumpkin for use in lots of easy pumpkin recipes. It doesn’t take long to cook pumpkin, and you can freeze it for using later. Before you cook your pumpkin, scrub any of the dirt off of it, rinse and dry it (to make sure it doesn’t slip out of your hand when you try to slice it up). Here’s an easy way to peel pumpkins without cutting yourself. 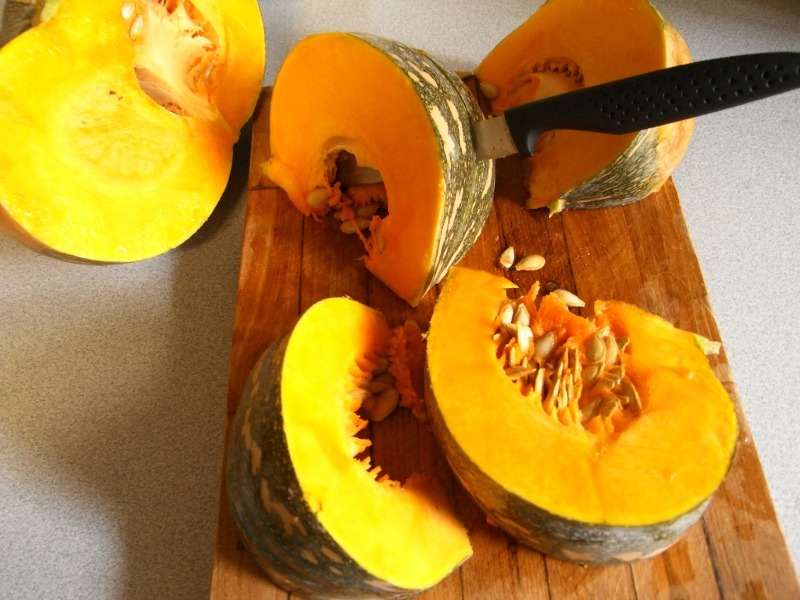 The simplest way is to halve the pumpkin, scoop out the seeds and place in a hot oven (around 375°F or 200°C) for up to an hour depending on the size. It’s done when it starts to collapse and is nice and soft. Allow to cool before you scoop out the flesh. 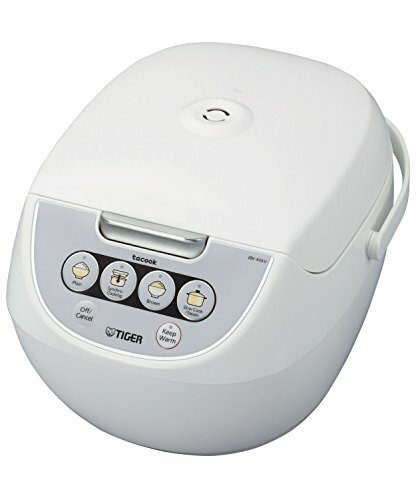 Scrape the pulp from the shell, mash it or put it through a ricer or food processor. I never waste the skin either. My dog loves it, and it’s a good source of fiber and vitamins for her. Don’t give the dog huge amounts though. The rest goes in the compost to help grow the next batch ;). 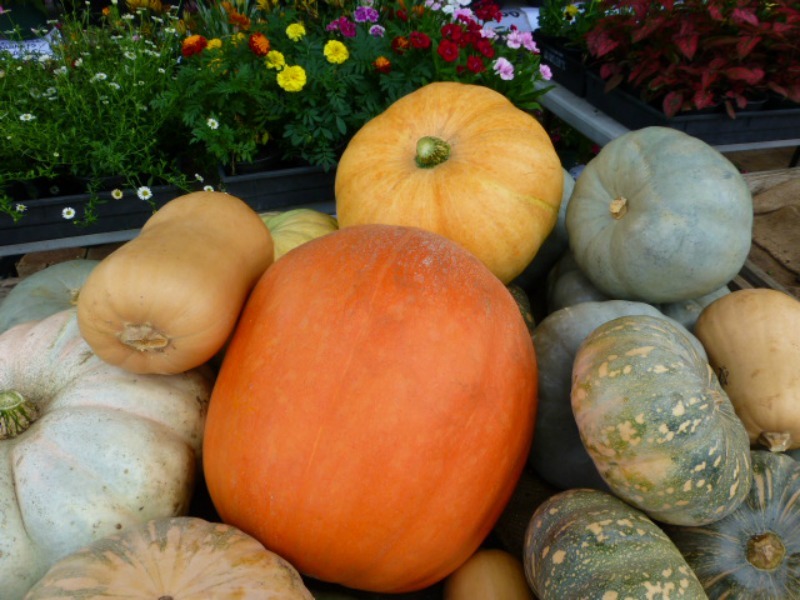 Alternatively, you can boil or steam large chunks of pumpkin flesh until it is soft. Pumpkin takes about 10 minutes to boil or steam depending on the size of your chunks. Try and keep the pieces more or less the same size so they cook evenly. Its done when you can just get a knife through it. 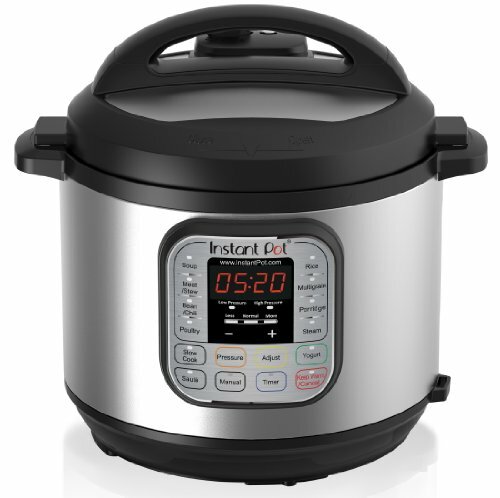 Tip – if you boil, don’t overcook it, or it will be really watery. If this happens, leave it to stand for half an hour and drain off the excess water. You could also put it in a muslin bag and leave to drain for longer if it is really watery. Here’s a quick video that shows how simple it is to boil and puree pumpkin. You can use this now to make all kinds of yummy pumpkin cakes! You may wonder if you can cook pumpkin in the microwave, and the answer is YES. Instead of putting in a pan or steamer, place the chunks in a microwavable bowl and add a bit of water at the bottom. Cover with cling wrap, and pierce a couple of holes in it to let the steam out. Microwave on full power for a couple of minutes, then check to see how its going. If your microwave doesn’t have a moving turntable, then turn the bowl at this stage. You will probably need to check each minute after this, depending on how much pumpkin you are cooking. Once you can easily put a knife through the pumpkin its done. Drain well, and puree in a blender, with a masher or for a really professional finish why not use a ricer? You can freeze the cooked pumpkin for use in lots of recipes later on. I mean with so much it is a good idea to use every last bit. Have you thought of pumpkin for breakfast? Try these easy recipes. How do you know if a pumpkin is cooked? 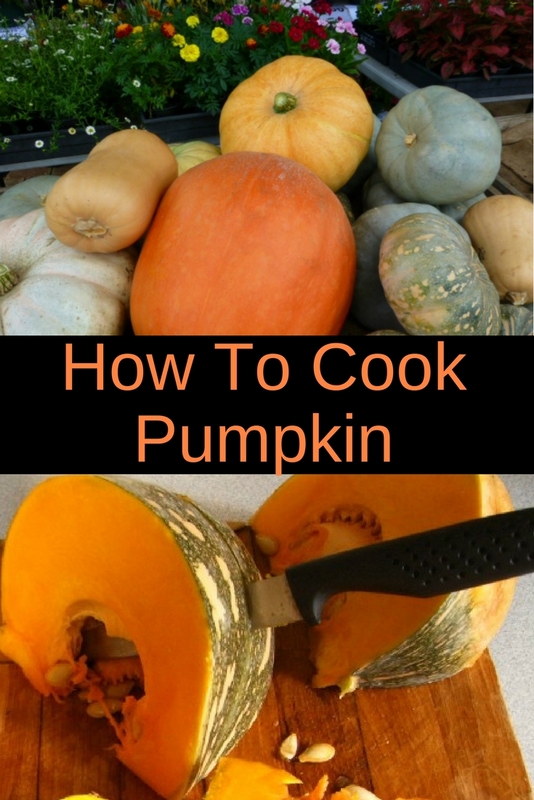 I have had a few of my loyal readers saying thanks for the guidelines and different ways to cook pumpkin, BUT they want to know how do you know if a pumpkin is cooked? This is a very good question, and one I used to ask myself about cooking every type of food. If you follow my guidelines for cooking times above you should have a perfectly cooked pumpkin. If you want to do it faster cut the pumpkin into smaller pieces. What can you make from Pumpkin? You can basically make whatever you want from Pumpkin, whether it be scones, cheesecake, pies, risotto, salads or casserole! Pumpkin works well with lots of different foods. I thought I should share some of my favorite pumpkin recipes below to get your taste buds tingling! Off to the kitchen you go I say. Pumpkin Salad With Feta – pumpkin, salad and cheese! Get in my tummy right now. Always a winner with my friends and I. Easy Pumpkin Scones Recipe – these melt in your mouth; I can guarantee they will not last long after someone takes their first bite. Now you’re ready to start cooking lots of yummy and easy recipes shown above 🙂 Please let me know what is your favorite way to cook pumpkin!